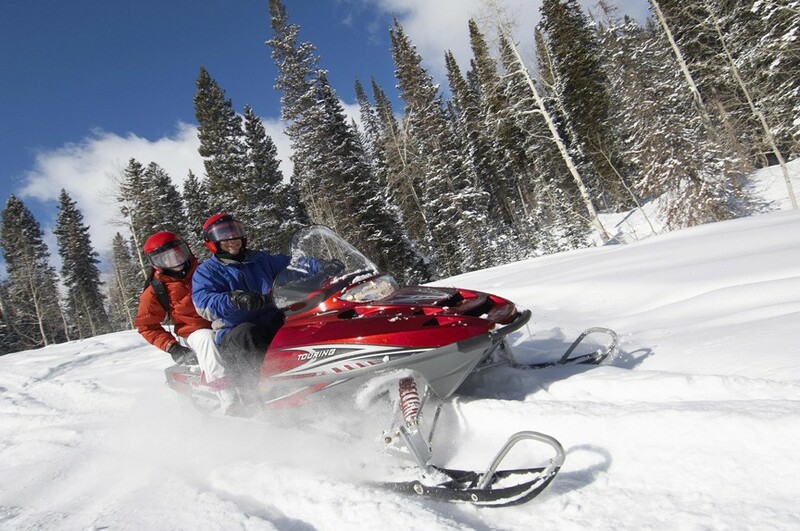 Get Out Into The Great Outdoors With Vermont Snowmobile Tours! Get Out Into It With Vermont Snowmobile Tours! Looking for a fun, exciting way to get out into the great outdoors during your winter Vermont getaway? Snowmobile Vermont’s snowmobile tours are all that and more! If you’ve never ridden a snowmobile, you really should add it to your bucket list. If you have, you already know how thrilling and fun they can be! Riding one is like a cross between sledding and motorcycling. How can that not be a blast! Luckily, there’s a snowmobile touring company right near our Vermont B&B – Snowmobile Vermont! Snowmobile Vermont is one of Vermont’s oldest snowmobile tour operators, offering tours in the area for over 20 years. They have a large fleet of the newest, high-tech Polaris snowmobiles and offer a range of tours and rentals. Snowmobile Vermont is aware that operating a snowmobile can be a bit daunting to the uninitiated. Consequently, their tours are designed to suit both the beginner and advanced riders. Your guide’s knowledge, skill, and patience will soon have even the most inexperienced rider out in the snow! Snowmobile Vermont offers two snowmobile tours that are less than 15 minutes from Deer Brook Inn, here in Woodstock, VT. Both tours include boots and helmets. Snowsuit rentals, if you need them, are available for a small fee. When renting for your tour, you have the option of renting a single-rider snowmowbile, a double, or you can ride behind a guide. The Two Hour Backcountry Snowmobile Tour is an adventurous 25-mile journey through the Calvin Coolidge State Forest on the Vermont State trail system. Go at your own pace, or challenge yourself on the varied terrain. This tour includes hills, woods, straightaways, and more. Food and drink will be available to keep you going during your adventure. The One Hour Mountain Snowmobile Tour is a scenic tour through the woods on the groomed ski trails of a 5-acre terrain park. The ski area’s warm and comfortable base lodge will be open to your tour. Interested in a snowmobile tour during your Vermont getaway? Visit killingtonsnowmobiletours.com and secure your reservation! Woodstock Vermont Lodging Let Deer Brook Inn be your home away from home whenever you’re near Woodstock, VT. Our four guest rooms and suites are spacious with en suite bathrooms. Several rooms feature skylights that provide lovely, soft light by day and a showcase of stars at night. Come soak up the distinctive yet casual atmosphere of Deer Brook Inn!